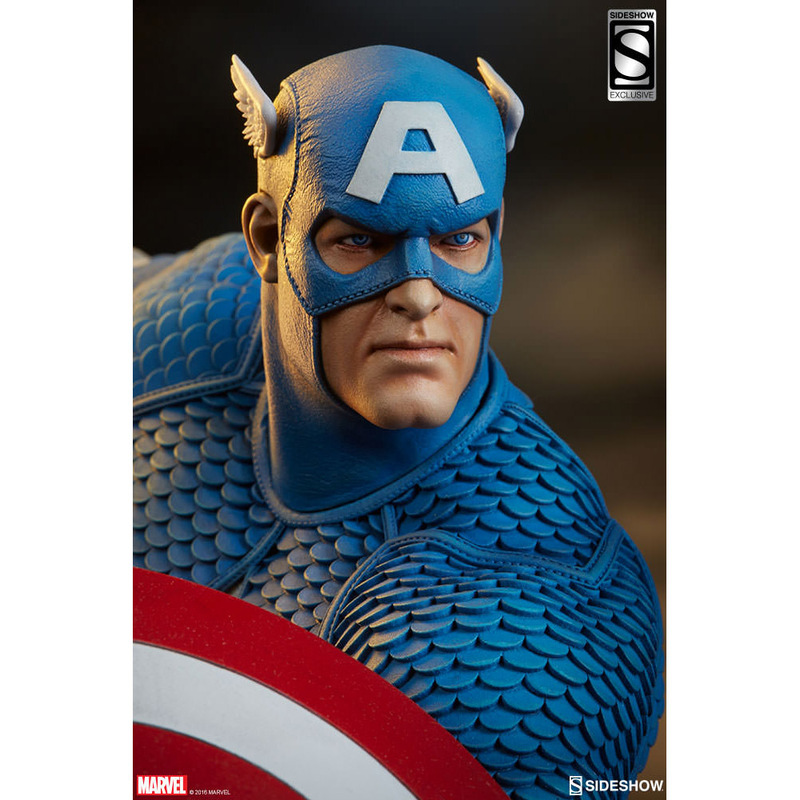 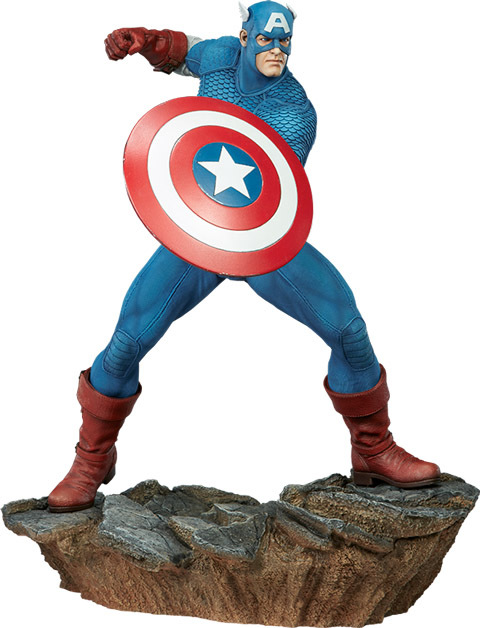 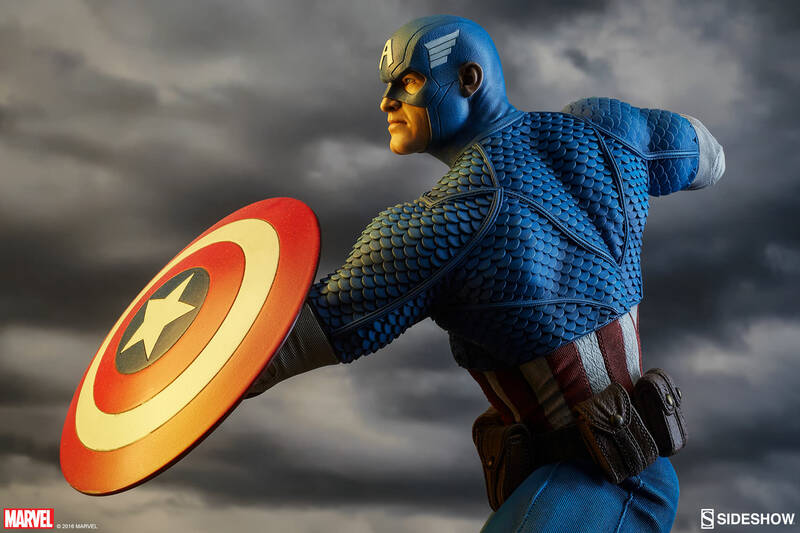 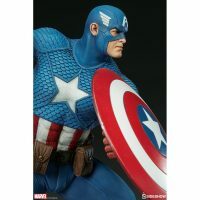 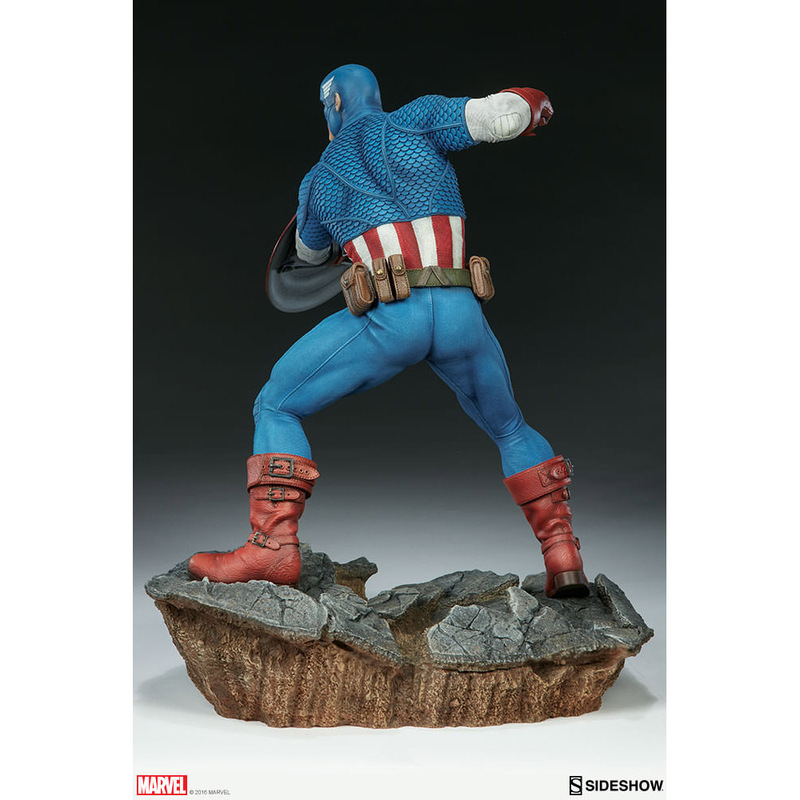 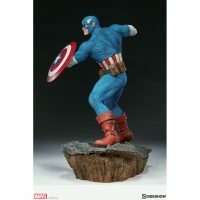 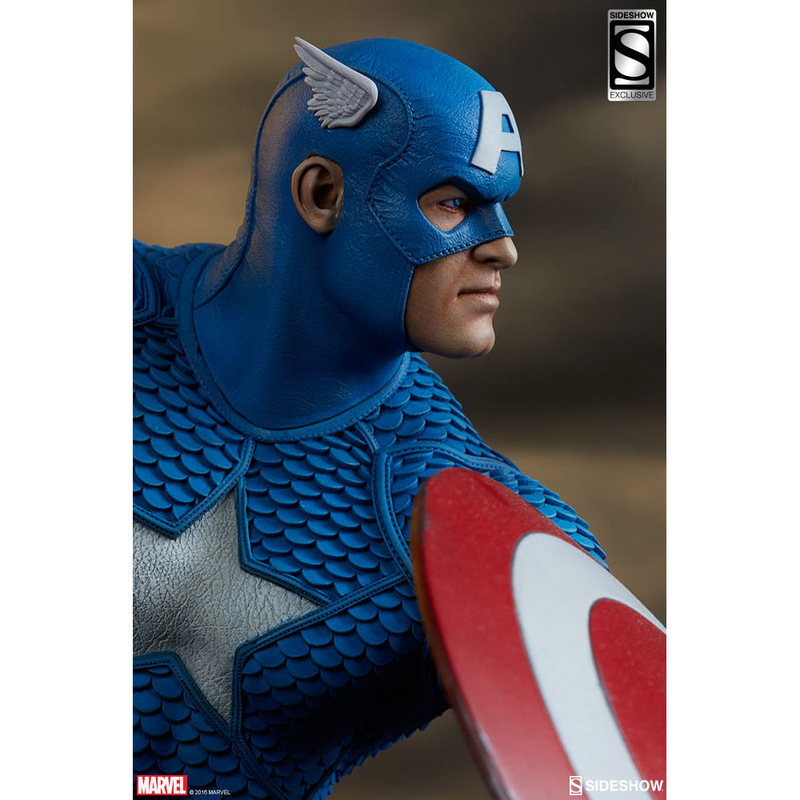 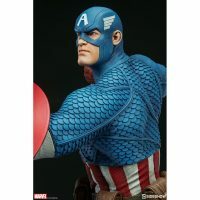 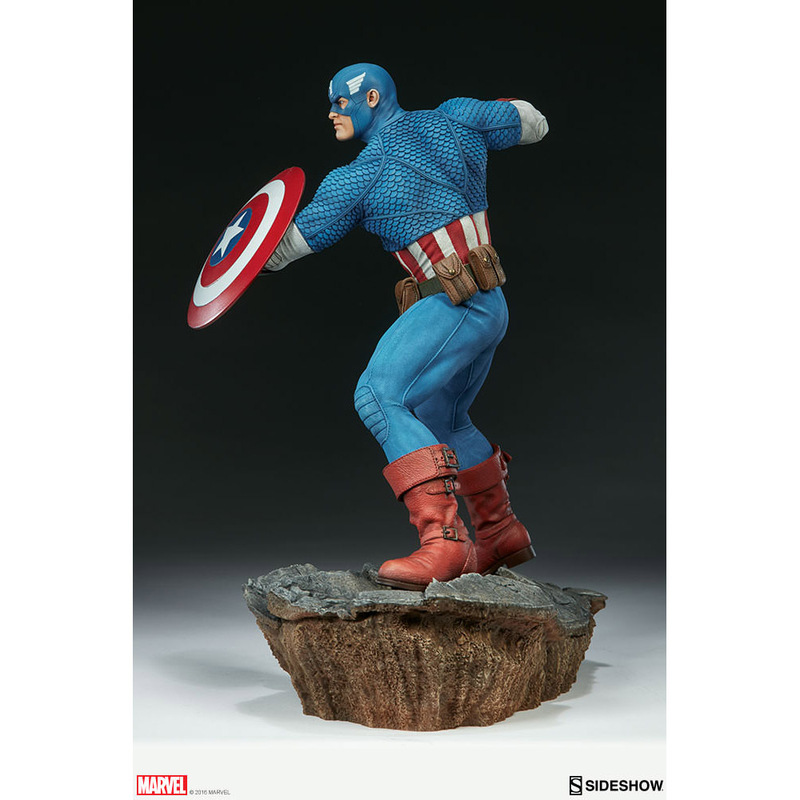 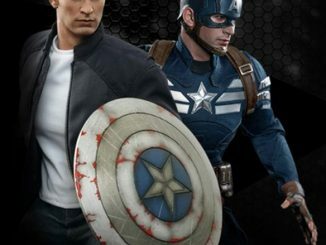 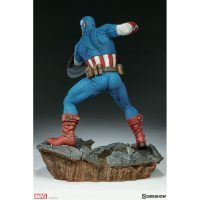 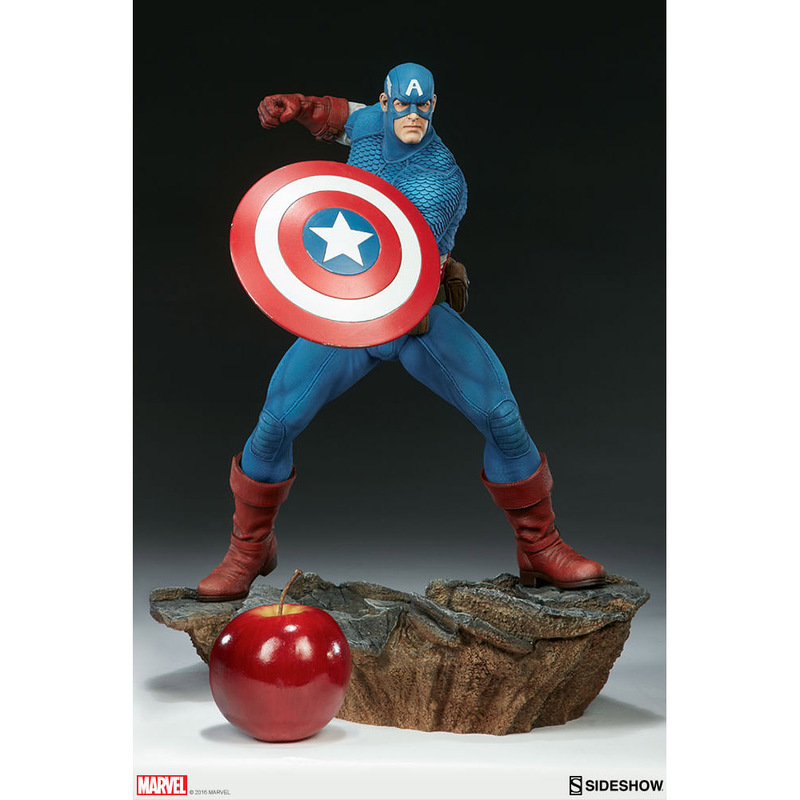 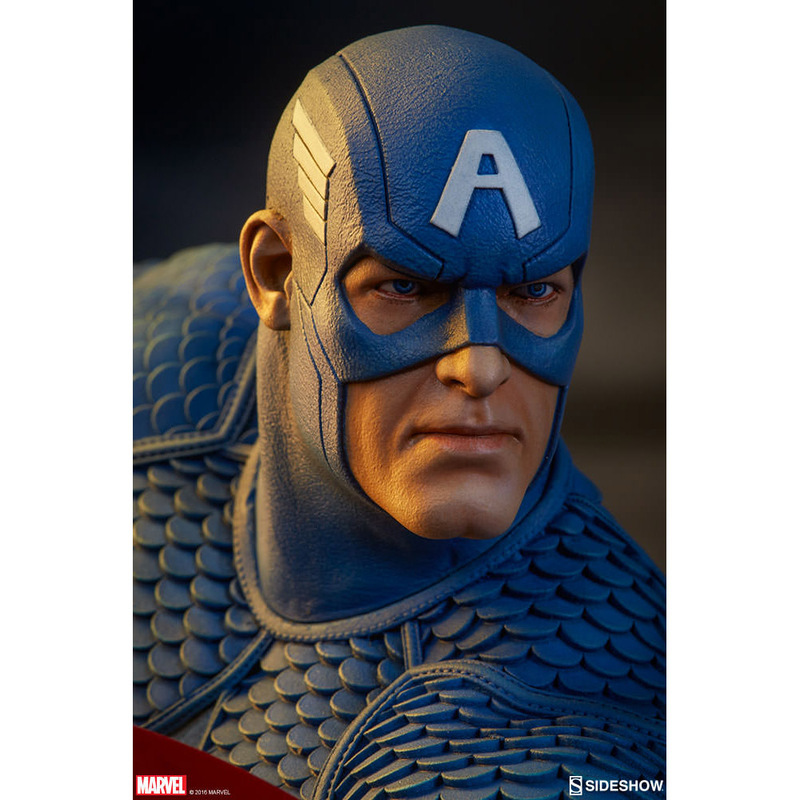 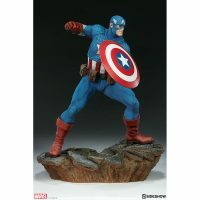 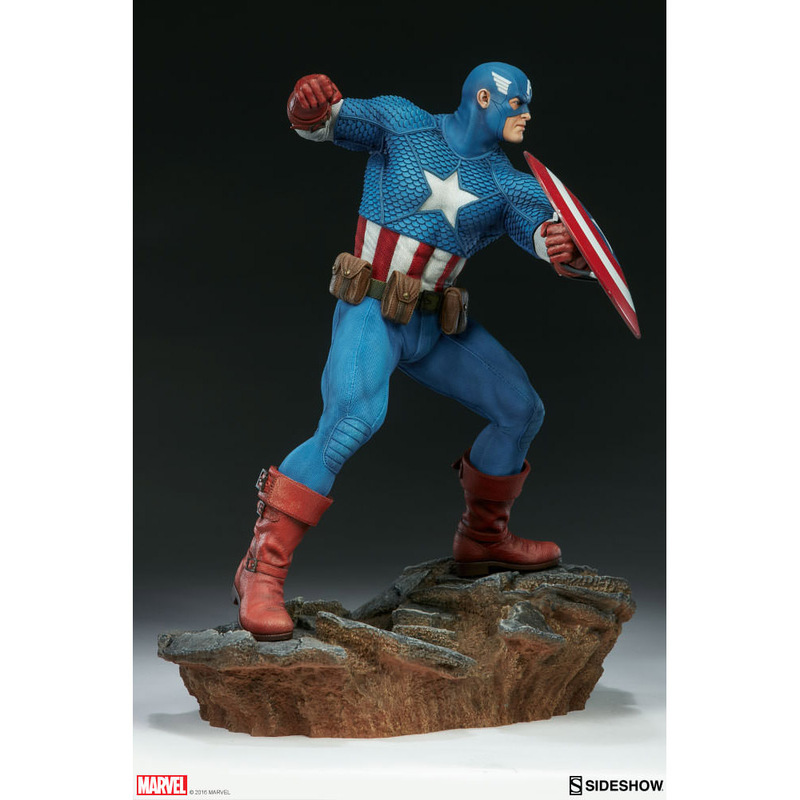 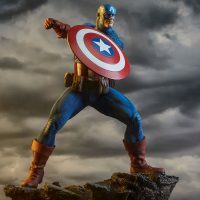 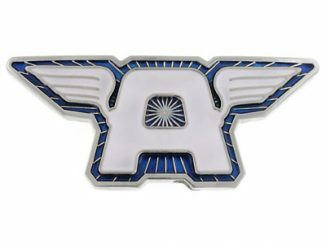 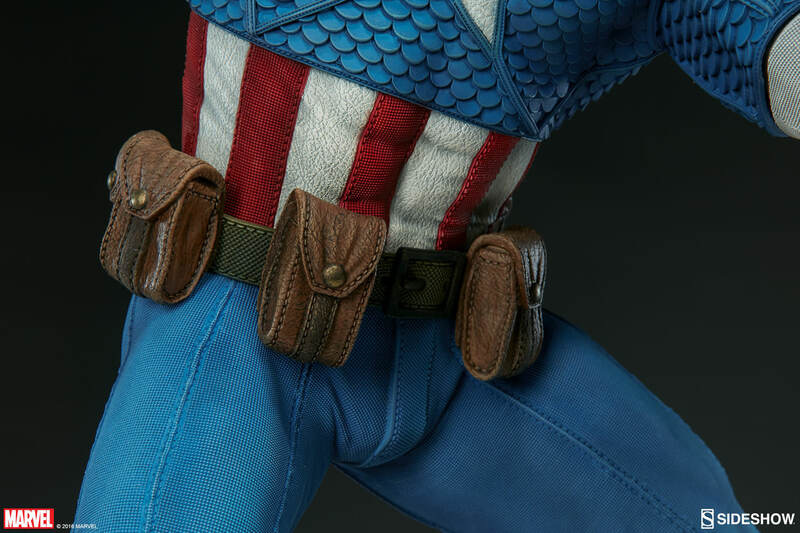 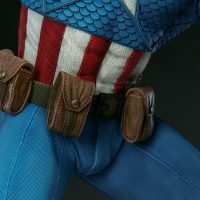 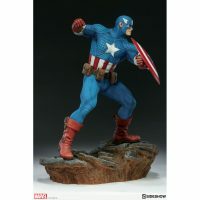 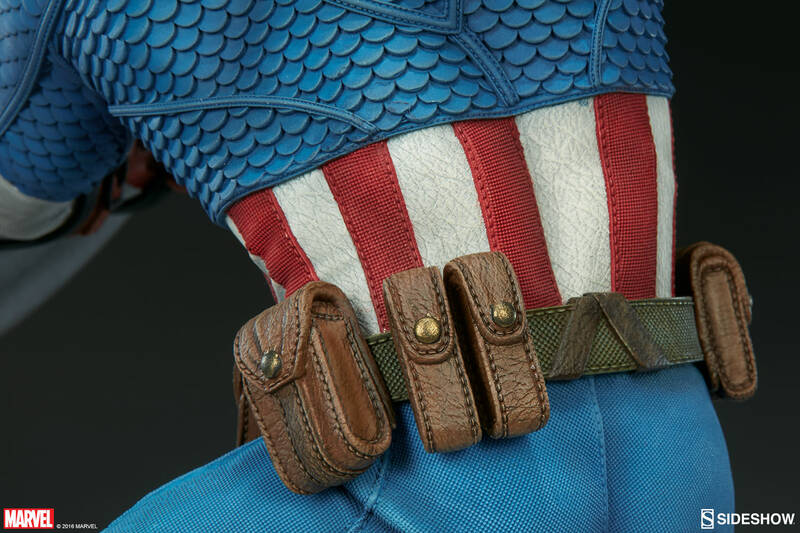 The first Avenger returns to a classic look with the Avengers Assemble Captain America Statue. 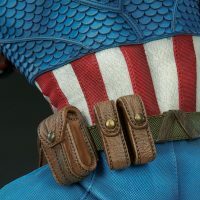 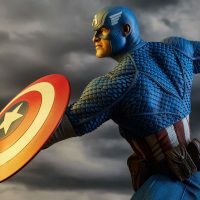 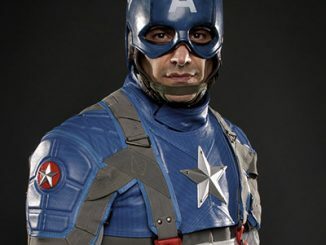 Before the Marvel cinematic universe had everyone picturing Chris Evans as Captain America, the red, white, and blue hero wore a costume that included blue scale armor and little white wings on his mask. 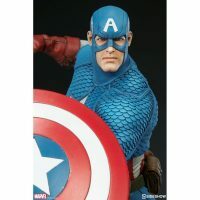 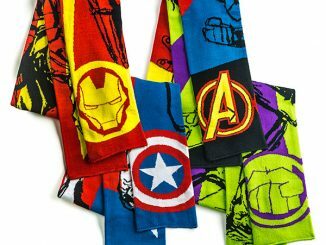 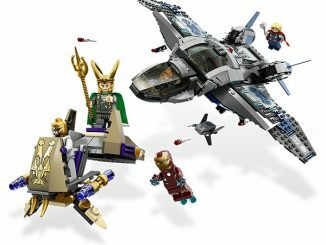 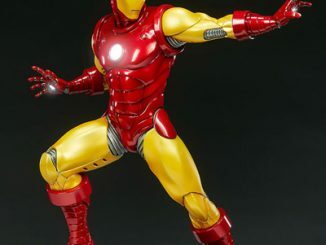 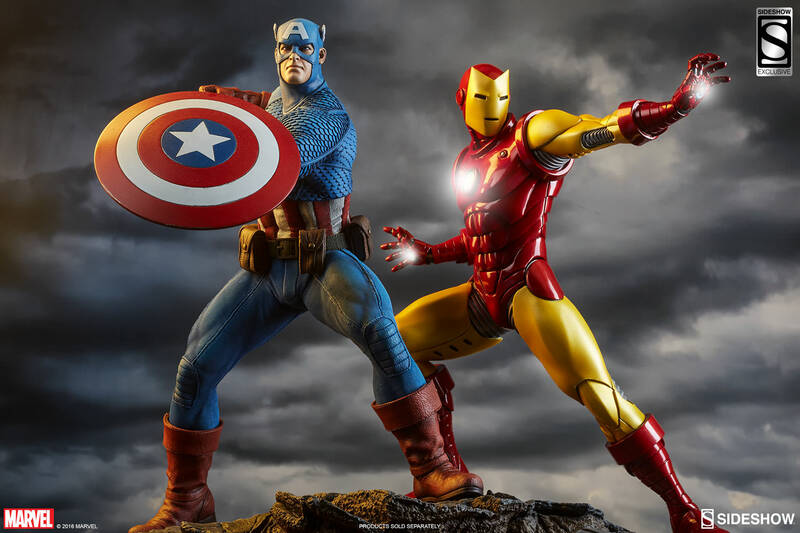 That classic look is brought back as Captain America joins Iron Man in the Avengers Assemble collection. 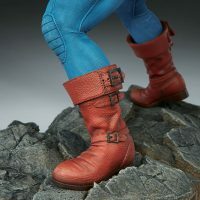 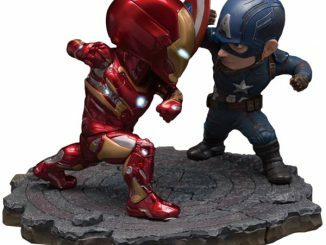 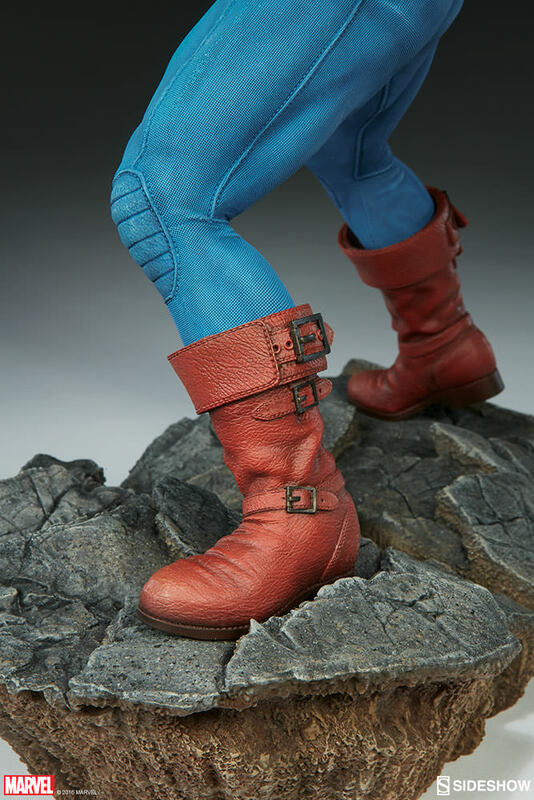 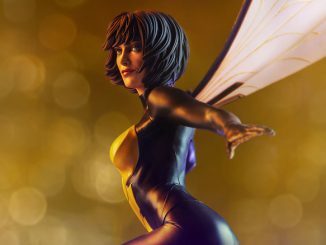 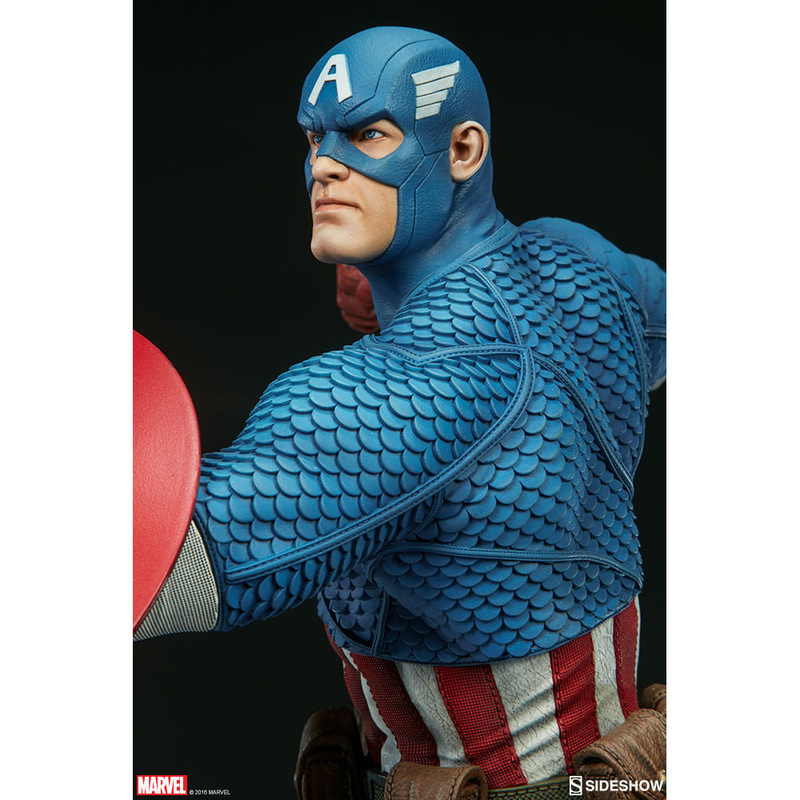 The highly-detailed statue stands 15-inches tall and features two head sculpts so you can have Cap with the little wings or without. 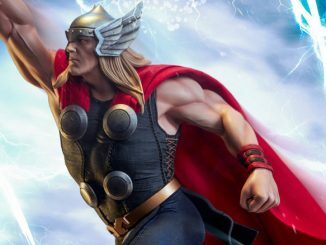 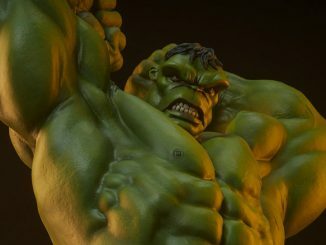 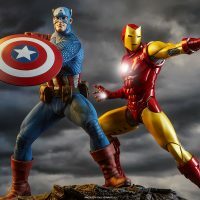 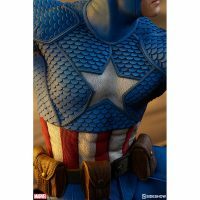 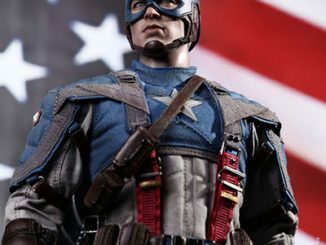 The Avengers Assemble Captain America Statue will be available Oct 2017 – Dec 2017 but it can be pre-ordered now for $360 at Sideshow Collectibles.